Fabrizio Zoro is one of the most popular dj’s and producers in Italy. He works in many salsa clubs in Milan as a resident dj and artistic director and knows about everybody who’s into salsa. He’s been involved in salsa for more than 10 years He learned to dance all styles of salsa, has travelled to Cuba and dedicated much time to study the music, the bands and the singers. Thanks to maestro Rodolfo Guerra he learned to play Latin percussions and piano and knows almost all the popular orchestras and musicians in Italy and himself his leader of the international salsa orchestra “La Maxima 79”. Many of them ask Fabrizio’s advices on new musicals productions. For his knowledge of dance and music Fabrizio has many friendships with salsa dancers in Italy and abroad. Also, many congresses in Italy and Europe have invited him to play music as a special guest dj. 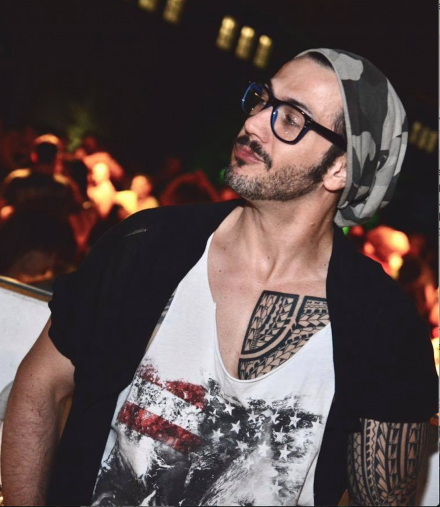 Fabrizio has worked as a musical director for music’s choreographies of many dancers in the world. He has worked for Juan Matos, Johnny Vazquez Adolfo Indacochea, Marco b y Flamboyan dancer, Tropical Gem, Magna Gopal, Los Hermanos,Marco Ferrigno, Jhesus Aponte and many more. He also was in charge of the music for the well-known musical Fantàsia by Tropical Gem and Flamboyan dancers. In 2004 received the award for best new Latin dj in Italy voted by all dj’s. He also has been a journalist for the most important internet salsa site in italy www.salsa.it since 2003 and has interviewed many singers and musicians like Oscar de Leon, Willie Colon, Frankie Morales, Mercadonegro, Fruko y sus Tesos, Cheo Feliciano,Ray Sepulveda, Roberto Roena , Chucho Valdez de Irakere, Aventura (first in italy to interview them). He also was Larry Harlow’s manager in his italian summer tour 2006. He still makes songs for compilations of www.salsa.it, considered the best Italian salsa and bachata and kizomba compilation, called salsa.it compilation. By now they have made 10 compilations. He is the composer of the song and the lirycs of Johnny Vazquez ‘s Song “Azafata” and producers of many bands like “Pablo Timba y su Timba Calle” and “Urbana 22″ Fabrizio worked in traditional radio and web radio and has been an mc at many events in Italy. Fabrizio Zoro’s musical style is basically all types of music; he can play mambo, timba, bachata, cha cha cha, reggaeton and much more….anything to make a great party!